As city leaders discuss the possibility of a plastic bag ban, people who rely on public transportation believe a ban would be discriminatory. San Antonio city leaders are in the middle of discussions on a possible ban on single-use plastic bags. The topic comes as cities across the country are taking drastic steps to reduce the use of plastic bags to cut down on litter. Most people would agree they're bad for the environment, but opponents say a proposed bag ban could unfairly target the poor because reusable bags cost money, and they're a burden to carry around for those without a vehicle. College student Amanda Maria Garcia finds herself in that very situation. She attends St. Philip's College, where she's studying hotel management. 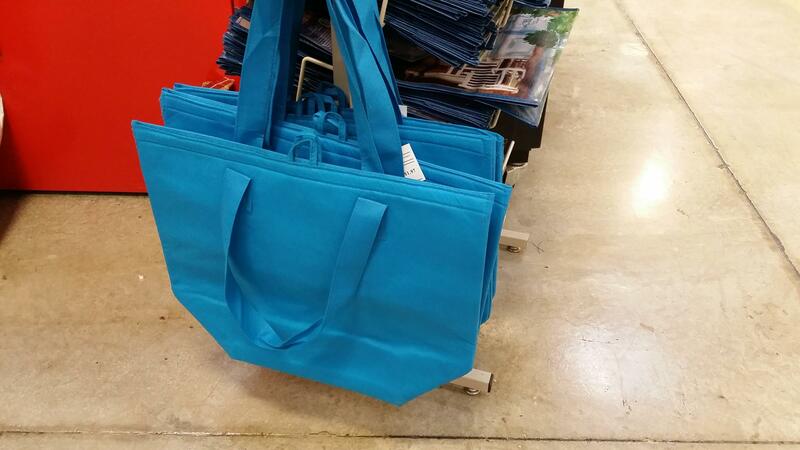 Reusable bags are sold at area stores from $1 to $5 or more. Waiting at the Primo bus stop along Fredericksburg Road is uncomfortable with the rising temperatures. But no matter how hot it gets, Garcia has to take the bus to get to school. In fact, she goes to family events, her parent's house and the grocery store by bus. If she even remembers her reusable bags, then she's got to lug them around from place to place, she said. "And then I'm not always coming from home and I can't just haul the things around, haul the bags around," said Garcia. City council members are talking about a ban on the grocery store-type bag, but plastic bags for the morning paper, dry cleaning plastic and others would likely remain. People like Laurie Chancellor know a ban would hit them hard. While riding the bus, she said she is going back to school. She said for people like her, a ban is discriminatory. She's already under the microscope at the restaurant where she works because she's at the mercy of the bus schedule, she said. She can't do last-minute shift changes and her employer doesn't want her bringing a bunch of extra stuff with her. "Their break rooms are not huge. They don't have their own lockers," she said. District 7 Councilman Cris Medina started the discussion on a ban. With some people wondering about a ban and whether or not it would discriminate, does he think the policy would discriminate against people who ride the bus? Reusable bags are loaded onto a shopper's cart. "No, I don't think so at all," he said. "I think, in fact, I think there's a way for us to work with folks that utilize public transportation and to ensure that it's not going to be an inconvenience for them to use reusable bags." VIA is behind a ban, he said, and is optimistic riders will be able to adapt. Garcia said maybe the reusable bags could be made available to people or everyone can work together to make the ban a success. "I guess it would just be a challenge to have to figure out how to haul my -- of course like I said I have them and I buy them but I mean, maybe for those that don't have the money to buy the extra bags, it would just kind of make things complicated." A group of retailers, policy-makers and others met several months ago to hash out what it would take to turn San Antonio bag-free. They stressed education before anything else. Still, Medina wants to push forward. He's hopeful that no one, no matter who they are, will carry a burden because of this goal. The full city council is expected to discuss the bag ban proposal for the first time in just a few weeks. Medina said he thinks it'll go on to a vote soon after that. A plastic bag ban is getting closer to becoming reality in San Antonio. Wednesday, the City Council's Governance Committee forwarded the item to a full city council briefing session in May. Is San Antonio Ready For A Plastic Bag Ban? Plastic bags are as much a part of the retail and grocery store experience as the milk and bread they carry, but recently, cities across Texas have been taking a journey down the road less traveled. Brownsville, Laguna Vista, South Padre Island and now Austin are part of a growing movement to ban plastic bags. Local shoppers seem to agree with the sentiment. 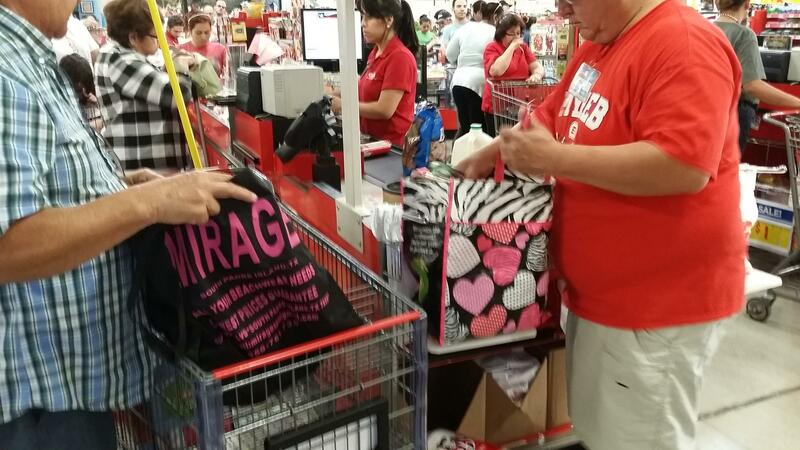 "I wouldn't mind banning something as long as there's an alternate to it," said H-E-B shopper John Saldaña. City leaders are in the middle of talks about a possible ban on single-use plastic bags in the Alamo City. While the debate lingers on, city staff members have come up with several options they will present a council committee with in April.